Join us this summer for some fun in the sun—but be prepared to get wet! We're going to combat the heat with lots of water play and cool off in the shade when we need to. 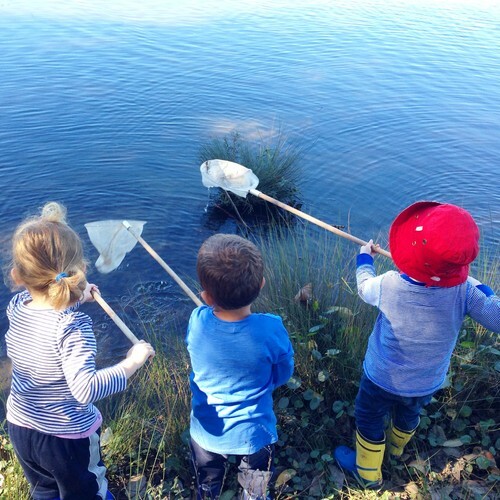 Experienced Early Years Nature Educators will facilitate play-based activities and nature experiences with you and your little one. This special 5-week program aims to help children grow and develop with and in nature. Children will climb, dig, explore, build, engage their senses, discover and play! Each week’s program is a combination of nature-based activities, games and stories, combined with supervised free-play time in the garden’s nature play area. Bookings essential. For more info & to buy tickets head to Australian Botanic Garden website.